Usage-based insurance (UBI) is on the rise, and, according to data from Global Market Insights, the commercial side of the UBI market is expected to grow more than 18% by 2024. Commercial trucking has long been at the forefront of the marketplace when it comes to utilizing usage-based monitors, and understanding how UBI has impacted the commercial trucking sector can provide a snapshot into how effective UBI will be in other sectors for the years to come. It was not that long ago when truck logs were tracked on paper, offering an easy opportunity for professional drivers to manipulate hours and distance. As technology has progressed, the ability for truckers to bypass regulations about number of miles and time on the road has decreased significantly, and in 2015, electronic logging devices became mandated in commercial motor carriers, providing automatic reporting directly to truck carriers. 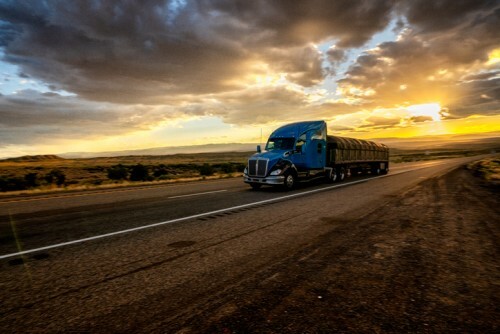 Ultimately, trucking insurance consumers benefited the most as a result of ELD and were afforded a better understanding of the usage of their vehicles, providing a better perspective to their insurance agents and insurance carriers about how, when and where vehicles were being used. With UBI’s popularity rising, insurance agents, consumers and businesses can benefit from the model penetrating new areas of the marketplace. “For example, one could argue short-term insurance to cover a camera in case it is dropped at Niagara Falls or something like that – that can be considered usage-based insurance. But, whenever you talk about usage-based insurance, it’s about how often you use whatever you are insuring. From a standpoint of how often you properly self-report the number of miles you drive and how aggressively you drive, that’s when usage-based technology comes into play by monitoring the consumer’s behaviour when operating a vehicle. At the point [ELD] was mandated, it really transformed the trucking industry,” explains Rixford.